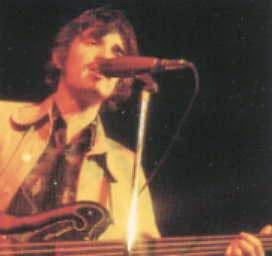 As a founding member of a rather inconspicuous group of rock musicians, Rick Danko, bass player for 'The Band' is not only one of the more unique bass players in rock history, but one of rock's more under appreciated players. It's only fitting he would a specialized instrument that matched his quirky bass talents. Danko's plump bass notes locked in perfect conjunction with Levon Helm's woody thump resulting in one of the greatest all time rock and roll rhythm sections. After some early measure of fame Danko was the recipient of some new musical gear. 'The Band' always game for an additional musical color were ready for another factor the separated them from the 'normal' groups. Around 1970 a different type of aural shading started to appear on 'The Band's' studio releases and on the concert stage. The 1970 LP Stage Fright is the first noticeable recipient of Danko's 1968(?) Ampeg AMVB-1 fretless bass, the subject of this Tools of the Trade.The instrument was actually recently auctioned off in late 2014 and its date of build was recorded as 'around' 1968 serial number M120. The opening song from the aforementioned LP, 'Strawberry Wine' burps buoyant bubbles because of Danko's slippery fretless slides to the notes. This is the first 'official' appearance of Danko's new instrument which he reportedly received from Ampeg along with a new fretted bass as well as a stand up. The red burst fretless bass soon became Danko's 'go to' instrument in both recording and performance. Like previously stated the bass started to make an impact around the release of Stage Fright. 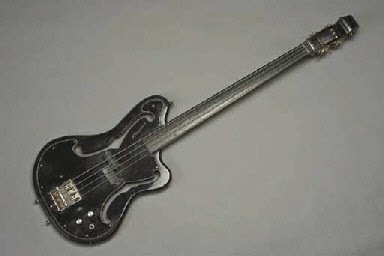 The custom scroll top bass would later be finished black by Danko and outfitted with two Fender precision pickups. Danko used flat wound steel strings and most of the time played with a heavy pick for as he stated, 'clarity, punch and definition'. The bass also contains two 'f holes' one of the special defining characteristics of the instrument. Danko was quoted as saying, 'I don't play bass, I fill space' in a 1976 interview and his expessed affinity for the fretless becomes clear after examining the quote. The fretless offered Danko numerous shading options when laying down the immense groove he is famous for. 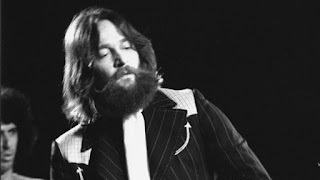 Danko played with 'feel' and due to the construction of the Ampeg fretless bass he could caress the beat and slide into the slots left open by Levon Helm. The bass allowed for a more fluid approach, this difference is illustrated in an instructional video included below where Danko illustrates both a fretted and fretless approach. The new found finger freedom allowed Danko to conjure the cascading bass line that closes 'Just Another Whistle Stop', to create the weeping willow string sway of 'All La Glory' and to close Stage Fright with the profound and foreboding bass introduction of 'The Rumor'. 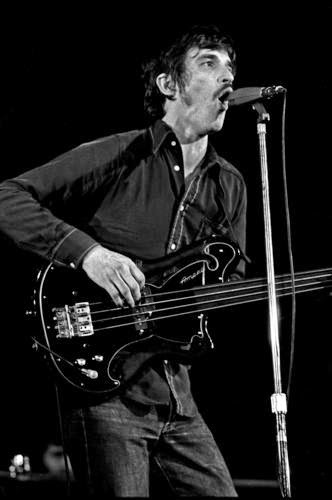 On stage Danko also pushed air with the Ampeg bass as can be witnessed on the existing footage from the 1970 Festival Express concert tour. The entire Rock of Ages live set contains the Ampeg in all its glory. The iconic opening do the famed song 'Don't Do It' was drawn from the wood of the Ampeg and that alone is enough to cement its legendary celebrity and legacy. Danko differentiated the fretted and the fretless with the opposition of 'steel against steel' versus 'steel against wood'. Whatever the music required is how Danko would determine his method of musical resonance. Danko was one of the first fretless players in rock and a pioneer in its use and application within the array of musical flavors in 'The Band'. 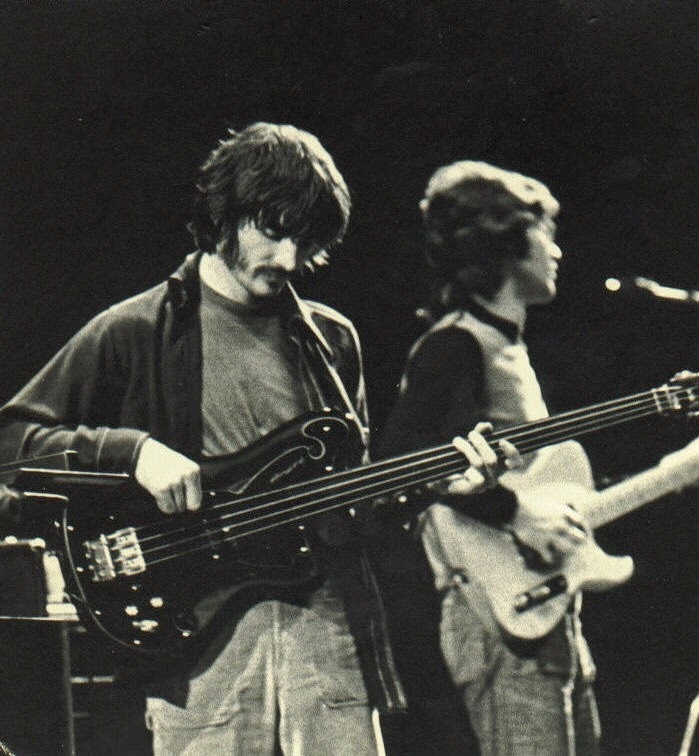 Rick Danko's bass playing was and is as recognizable as any guitar players sonic fingerprint. If you hear it, you know. Another fine example of the instrument in action in a unexpected place in on Neil Young's 1974 album On the Beach. The song 'Revolution Blues' features 'The Band' rhythm section and spotlights Danko's bounding and excitable bass lines. An admirable and amazing display of Danko's peculiar approach to the instrument as well as expressing the singular personality of the bass. Because the Ampeg fretless bass became Danko's favorite method of musical dissemination its tone can be enjoyed on many documents such as the 1971 LP Cahoots, Dylan's 1973 LP Planet Waves, the live albums Rock of Ages, Before the Flood and the film of the Last Waltz. A 'rock room' favorite and fitting conclusion to this tribute to Danko and his implement is to enjoy the track, 'Last of the Blacksmith's from 1971's Cahoots. Danko growls the opening licks of this 'lost' classic and continues to elicit a smile to this very day with the rubbery lines that coat the chorus.The iconic instrument now has a happy owner as it sold at auction for $37,500 in late 2014. A testament to the enduring legacy of Danko and the instrument that allowed him to express his art. Who sold it after Elizebeth died? I believe it was auctioned off well before her passing. I do not know by whom. Yes, you are correct sir. But during the sound stage segment he breaks out the Ampeg.